Away we go - and away he went! Even Valtteri Bottas looked stunned to his core at dominating all comers, including his own Mercedes F1 team-mate Lewis Hamilton. 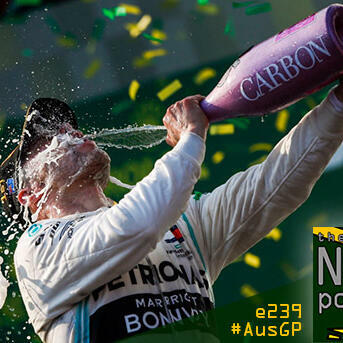 Edition 239 of The NR F1 Podcast reviews the 2019 Formula 1 season-opening Australian Grand Prix in Melbourne, the Finn's stunning win as well as the winners and losers from a curious start to the year - all from the iconic Rushcutters Public House on the outskirts of Norwich, UK.